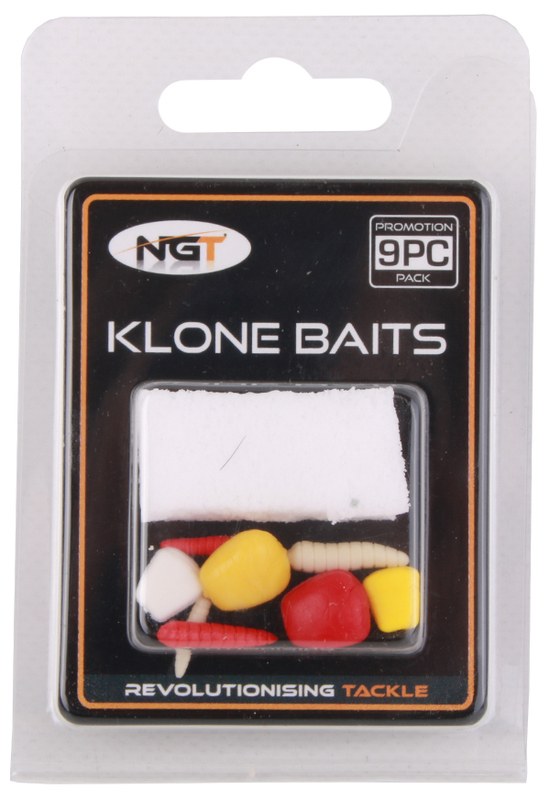 The NGT Klone Baits are artificial bait imitations in the shape of e.g. bread, corn, pellets and maggots of which some are floating and some are sinking. These imitations have caught many carp! 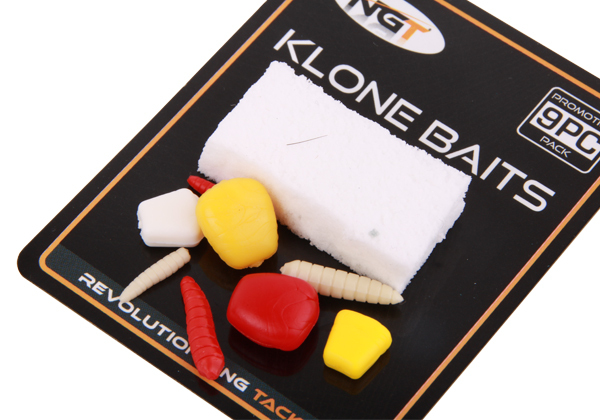 You can perfectly balance your bait by for example placing a piece of floating corn on a hair above a boilie. But even on just the plastic, many fish have been caught!